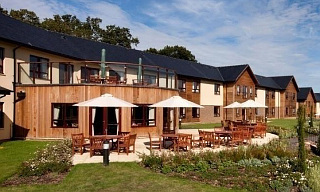 Augustinian Care provides care with nursing for elderly frail residents and those with mental health problems in Sussex. We work hard to provide unique high quality care, enabling individuals to lead valued and fulfilled lives with freedom to make choices. We are passionate about caring and our personalised care-plans ensure that each person is treated with respect and their independence and individuality are recognised. We work hard where possible to ensure that we provide a lifestyle full of activities and choices that are centred on residents' own interests, enabling each resident to continue to do the things they enjoy for as long as they are able. Our three homes, St Mary’s, St Clare’s and St Rita’s are located at St George’s Park, Ditching Common just a couple of miles from both Burgess Hill and Haywards Heath. These three modern homes are all purpose built with en-suite rooms many with views across the 250 acres of beautiful grounds. Each home has specially designed enclosed gardens allowing residents the opportunity to have a stroll or sit with friends and family and enjoy the lovely views. We have a variety of livestock including, Alpacas, Water Buffalo, sheep and cattle all of which are accessible via an extensive wheelchair friendly footpath network within the estate. Each of these homes also offers extensive facilities including large spacious dining rooms with views across the fields, a variety of communal lounges allowing residents the choices of both more sociable or quiet areas, hairdressing salon, and activity and cinema rooms. Please take the time to look at our website, and visit any of our homes for a viewing. 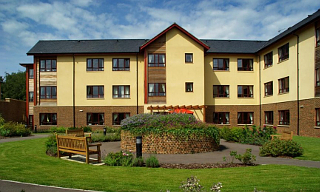 Augustinian Care aims to create a happy and homely atmosphere for residents in all our Care Homes. We pride ourselves on the high standard of care that we provide which ensures that all the needs of our residents are met. 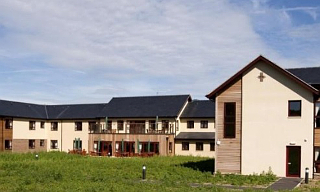 All our Homes offer quality care where each Resident is treated as an individual. We offer an environment where the Social Function and well being of each Resident is encouraged. We are fully committed to the Core Values as stated below. For further information or a visit please contact the care home of interest to you and they will be pleased to assist with any queries you may have. We would be pleased to welcome you to visit our Homes. Best Employer of more than 250 staff Winners within the Skills for Care Accolade. The Skills for Care Accolades are an opportunity to celebrate all that is great about how high quality care and support is provided by hard working, skilled and dedicated workers in our communities. National Care Forum members are not-for-profit organisations in the care and support sector. NCF currently has over 100 member organisations providing a wide range of quality care and support services. ANH are proud to be part of the NCF drive for continuos improvement within the Care Sector. We have 3 amazing homes, three new purpose-built state-of-the-art care homes located in the grounds of St. George’s Park as well as a beautiful period home constructed of local sandstone. The home offers the best in modern facilities combined with the traditional principles of care which has been offered by the Augustinian Sisters at St. George’s since 1868. Read an over view of all homes by clicking here or click on read more for a specific home.